Guardians of the Galaxy's Michael Rooker joins 'Fantasy Island' cast – AiPT! Rooker joins the upcoming horror-oriented film from Blumhouse Productions and Sony Pictures. 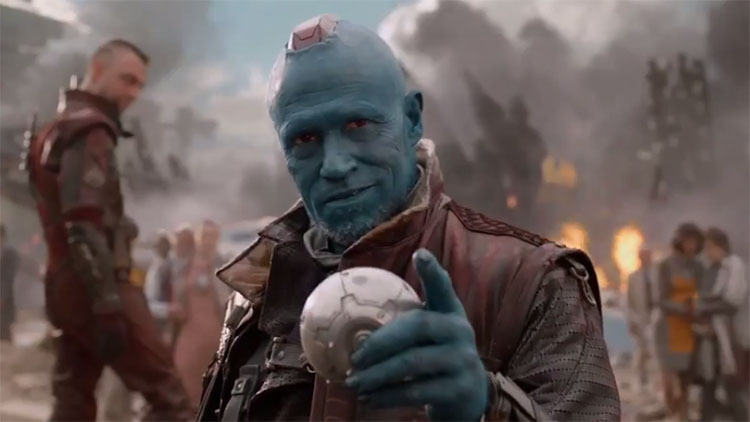 Michael Rooker is well known to many movie fans, likely best for his roles as Yondu Udonta from the Guardians of the Galaxy films, and Merle Dixon in The Walking Dead. Soon fans will get to see him in a new role on the big screen in Blumhouse Productions and Sony Pictures upcoming Fantasy Island. The film is a re-imagining of the television series Fantasy Island that aired from 1977-1984, in which visitors to the mysterious island located somewhere in the Pacific, could live out their wildest fantasies for a price. Jeff Wadlow has been tapped to director, as well as co-write alongside Jillian Jacobs and Chris Roach. While plot details are currently being kept under wrap, the film has been described as a mix of Westworld and Cabin in the Woods. Recent additions to the cast alongside Rooker are Charlotte McKinney (Flatliners, Baywatch remake), Parisa Fitz-Henley (Luke Cage, Jessica Jones), and Austin Stowell (Catch 22, Battle of the Sexes). The four join actors join the group of Michael Pena (Fury), Jimmy O. Yang (Silicon Valley), Dave Bautista (Guardians of the Galaxy), and Lucy Hale (American Juniors) who all joined the cast in October 2018. Principle photography on the film began in January 2019 in Fiji. The film is scheduled to be released in the United States by Sony Pictures on February 28, 2020.